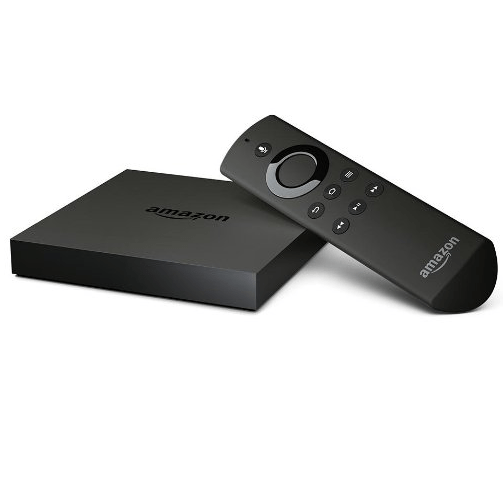 Amazon have given their Fire TV set-top box an overhaul, led by one feature missing from the recently added to a new Apple device: 4K. The new Fire TV adds support for 4K Ultra HD videos, letting you watch movies and TV shows at four times the resolution of 1080p video. And Fire TV owners will have plenty of 4K content to watch: All of Amazon’s original programming is offered in 4K and the Fire TV interface highlights movies available in 4K for your viewing pleasure. Amazon says it’s working on adding support for 4K streaming with Netflix content to Fire TV. Whilst the Fire TV looks the same on the outside, it’s entirely different on the inside. It features a quad-core 2.0 Ghz MediaTek CPU, a dedicated PowerVR GX6250 GPU, and 2GB of RAM under the hood. It connects to the internet through either an ethernet port or 802.11ac wireless. Unfortunately the unit retains the 8GB of internal storage however the annoyance is diluted a little by a the new microSD card slot or via a USB drive connected to its USB port. It has an HDMI port and still includes an optical audio port. The new Fire TV will retain the £79.99 price tag and can be pre-ordered now. Advanced features, not including the 4K, will roll out to the older model in due time. 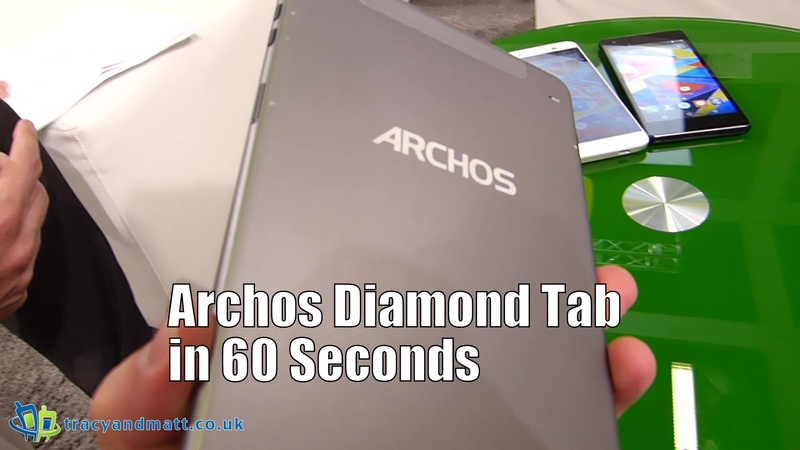 Cutting a very familiar design the Archos Diamond Tab is a cheaper 8″ tablet with a few interesting aspects. It has a 7.9-inch 2,048×1,536 IPS touchscreen, a 5 MP rear camera, a 2 MP front-facing unit, 3GB of RAM, 32GB of expandable storage, and a 4,800 mAh battery. It’s powered by MediaTek’s MT8752 64-bit chipset boasting a 1.7 GHz octa-core Cortex-A53 CPU. Cat.4 LTE is in, with theoretical peak download speeds of up to 150Mbps, and you also get Wi-Fi, Bluetooth, and GPS. The tablet runs Android 5.1 Lollipop. Its dimensions are 202 x 134 x 7.8 mm, and it weighs 360g. 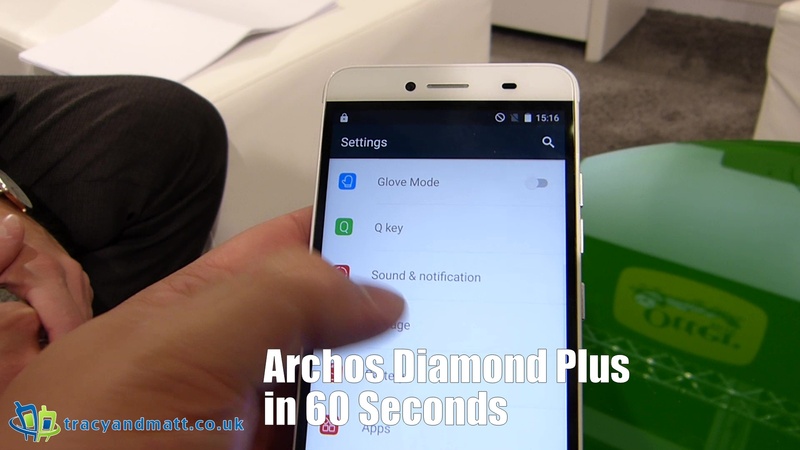 The Archos Diamond Tab will become available in October for £179, which a great price! One phone I haven’t stopped thinking about since leaving Berlin was the Archos Diamond S. This low end phone really sat out as one of the most accomplished devices at the show. The glass body was elegeant, the polish was high and the specs were not to be sniffed at. A 5-inch Super AMOLED screen with 720 x 1280 pixels catchs the eye. Powered by an octa-core, 64-bit MediaTek MT6753 processor clocked at 1.5 GHz, and runs Android 5.1 Lollipop. On the glass-like back, the Diamond S has a 16 MP camera, while on the front you’ll find an 8 MP camera. Other features include LTE connectivity, dual SIM support, 2 GB of RAM, 16 GB of expandable storage space, and a 2300 mAh battery. When you consider this is a £160 phone, you will probably hear very few complaints. 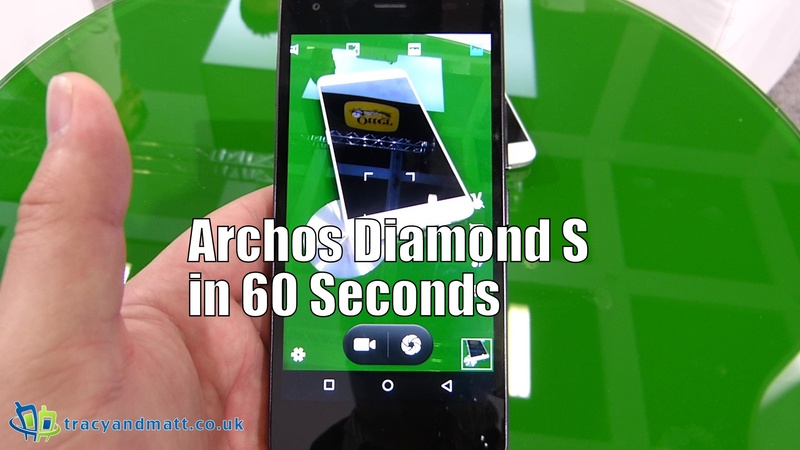 We have seen three new devices from Archos this year. Each one bringing something new to the table. This device is a lower end high end phone comprising of a good combination of tech inside a nicely designed body and priced at a very eye catching price. The Diamond Plus features a 5.5-inch IPS LCD display with 1920 x 1080 resolution, a 1.5GHz octa-core Mediatek MT6753 processor, 2GB of RAM, 16GB of internal storage and microSD expansion up to 32GB. It also comes with two SIM card slots, a 16MP rear-facing camera, an 8MP front camera, and a 2850mAh battery. The Diamond Plus will be available sometime in November for just £179.99.